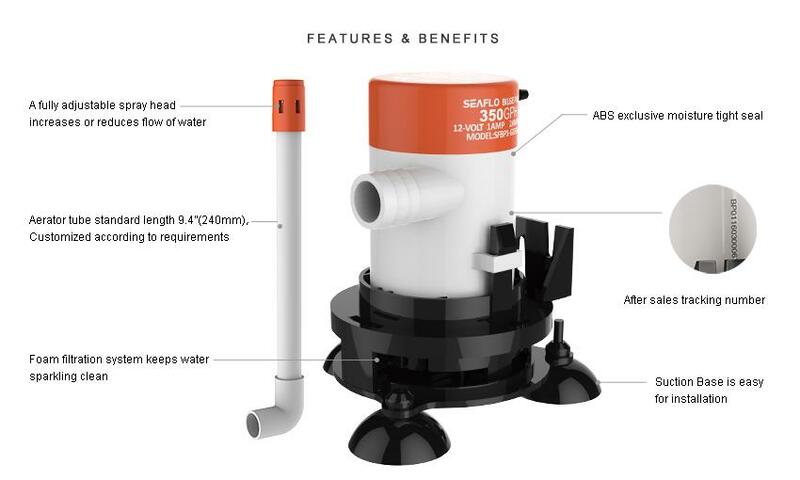 This portable bait tank aerator pump by SEAFLO aerates from 5 to 30 gallons (19 to113 litres) of water. The pump attaches easily to any non-porous surface with suction feet such as a bucket or esky to aerate the water and keep bait fish alive. 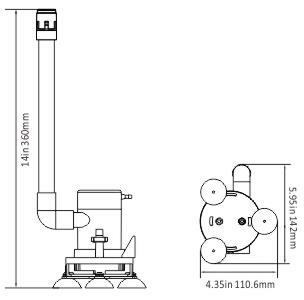 The 240mm long spray tube can be custom cut to fit into any container. The kit also includes battery clips for easy attachment to a 12 volt power source. The fully-adjustable spray head allows adjustment of water flow, while the built-in filtration system cleans the water as it cycles. Click the button below to add the Seaflo Portable Aerator Pump Kit - 09 Series 12V - 350GPH to your wish list.